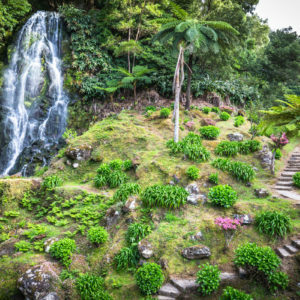 Discover São Miguel island with this Pack of 3 Full Day Tours (Blue & Green Tour, Orange Tour & Priôlo Tour) with a promotional discount. 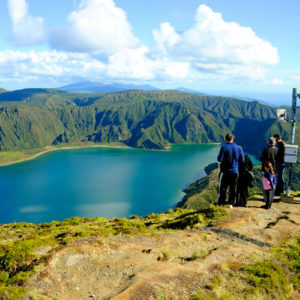 Located in the center of the island are the fascinating landscapes of Lagoa do Fogo (Fire Lake), doubtlessly one of the grandest nature attractions of this island, which already is not really poor of beautiful natural sights. This huge blue lake – it is about 2 km long and 1 km wide - fills the ground of an extinct crater, whose caldera was formed during an eruption in 1563. Surrounded by high mountains and luxuriant endemic vegetation, this mystical lake, where an ambiance of divine tranquillity and beauty is reigning, has transparent waters, a peninsula and white sand beaches and is declared nature reserve. Nordeste is a village in a region that is often referred to as the most beautiful of the amazing São Miguel Island, on the wonderful Azores Archipelago, situated on the northeast of the Island. Filled with natural beauty and an exuberant vegetation, on the most geographically rough area of the Island, this region reflects the natural magnificence of the Island, as it is visible in the several viewpoints that are present throughout the coast, as in the Ponta do Sossego, in Ponta da Madrugada, in Tronqueira or the Farol do Arnel, among many other special sights. The Azores are full of places that stop visitors dead in their tracks and cause a sharp, involuntary intake of breath. But the first glimpse of this enormous caldera with its sparkling twin lakes might just be the most eye-popping of them all. 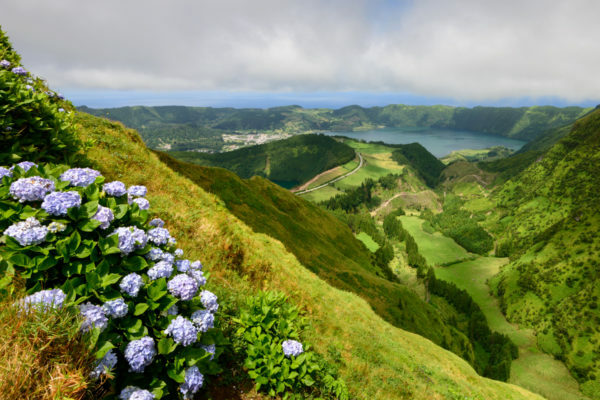 Sete Cidades is crisscrossed by superb walking trails, including a 12km circuit of the hydrangea-fringed rim and several routes leading down to the water’s edge. Surrounded by thickly forested cliffs, this landscape has a fairy-tale quality, so it comes as no surprise that Sete Cidades is the source of Azorean legend. According to that, the lakes – one blue, one green – formed from the tears of a shepherd and princess who shared a forbidden love. You might well shed a few tears (of joy) at the scenery.